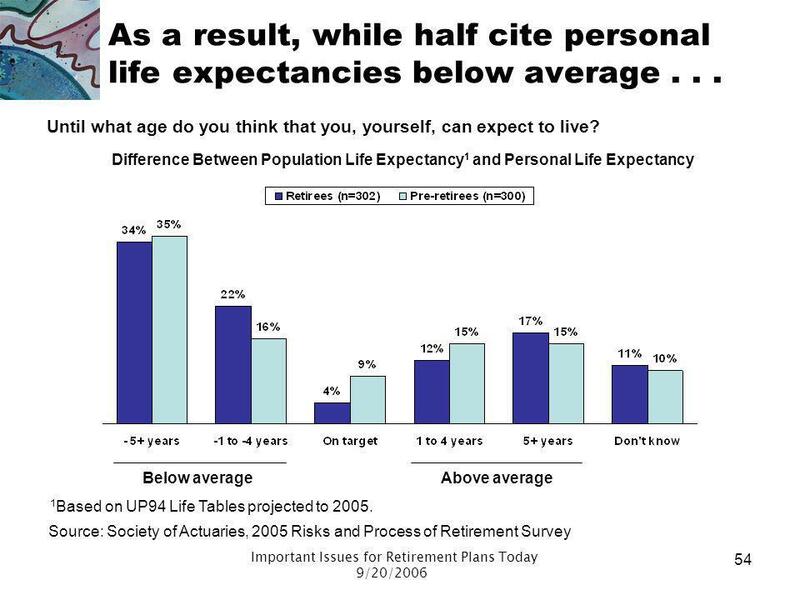 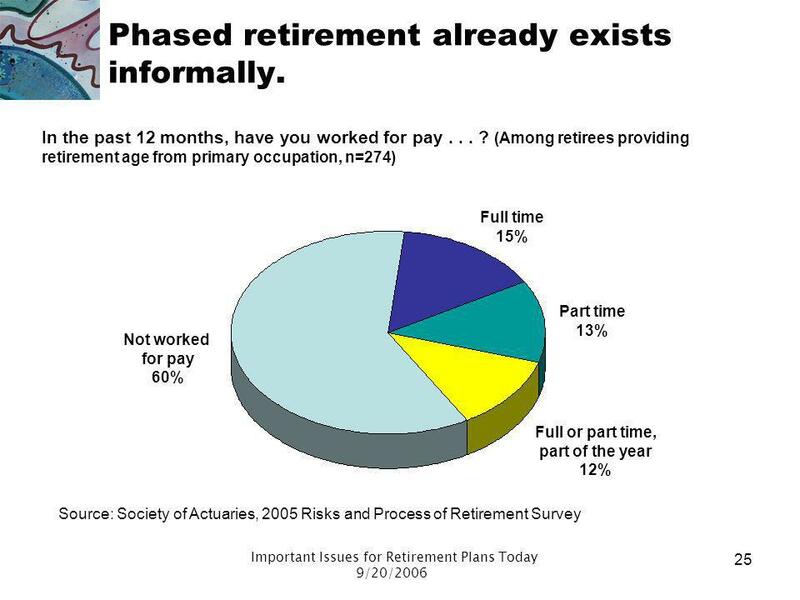 25 Phased retirement already exists informally. 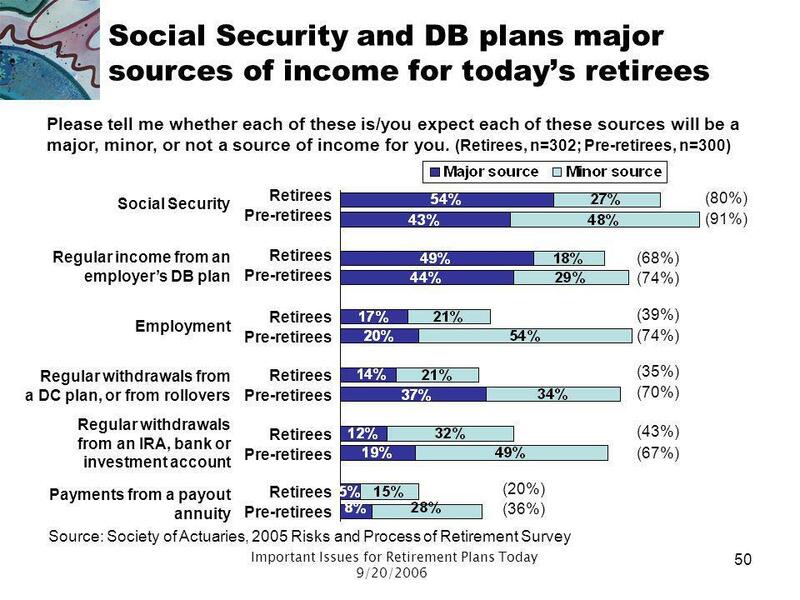 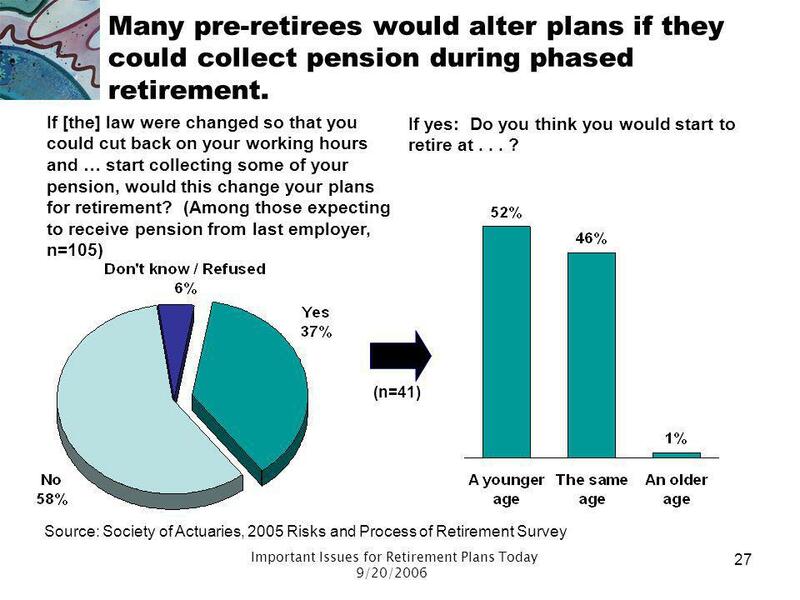 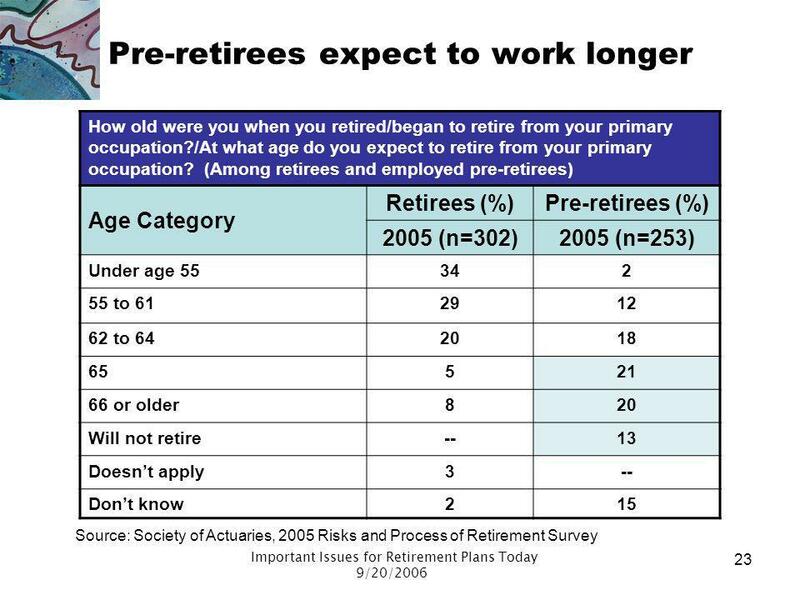 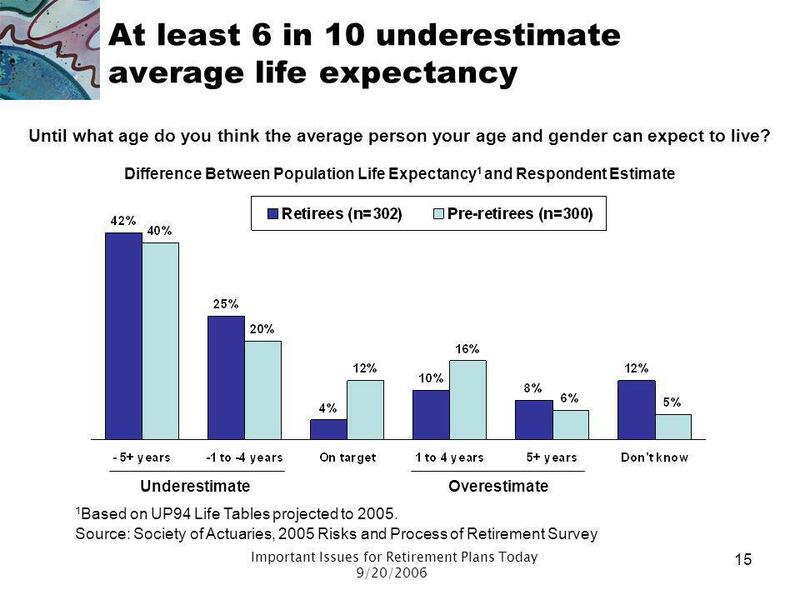 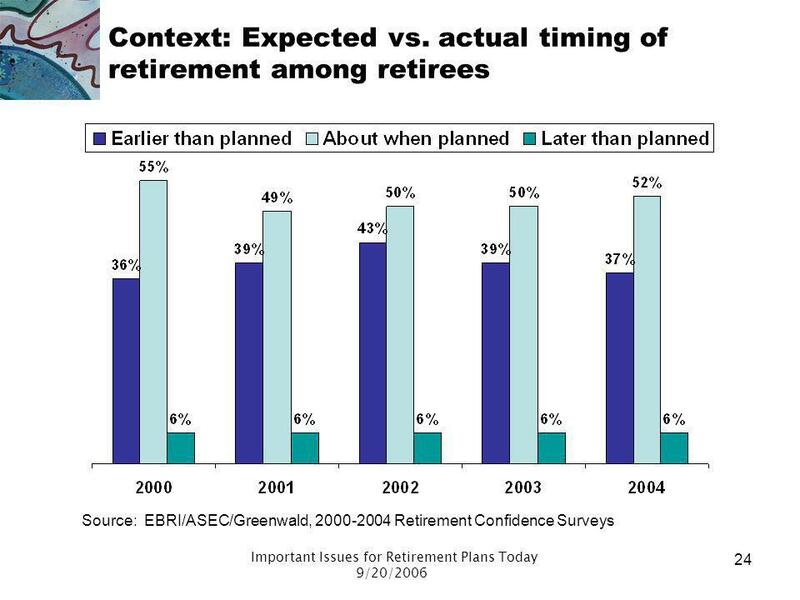 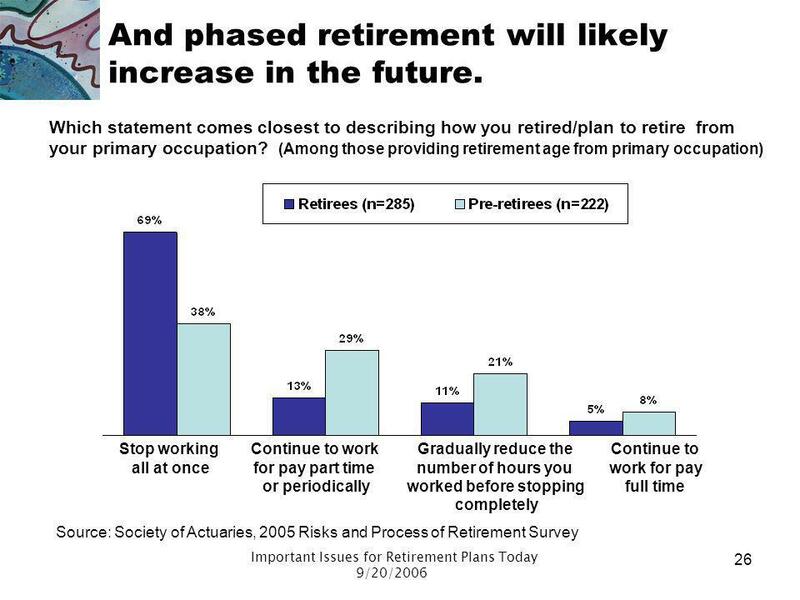 26 And phased retirement will likely increase in the future. 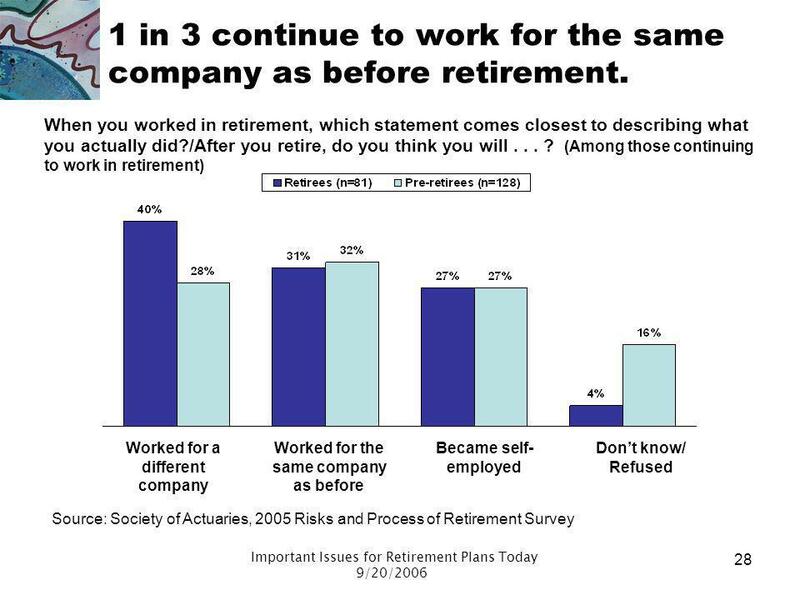 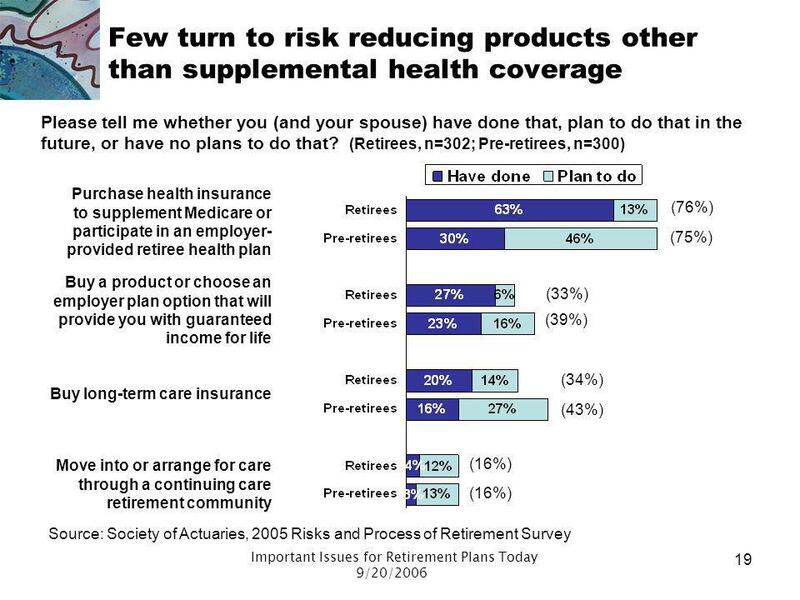 28 1 in 3 continue to work for the same company as before retirement. 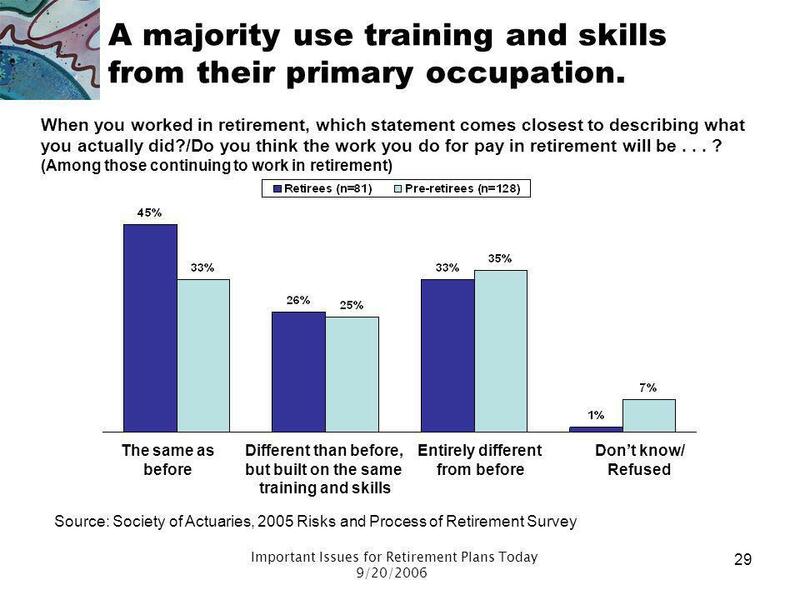 29 A majority use training and skills from their primary occupation. 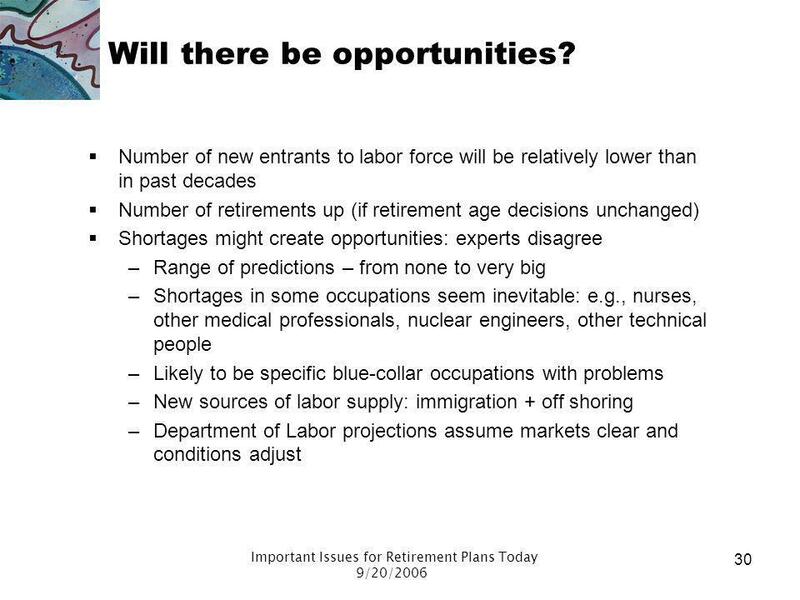 30 Will there be opportunities? 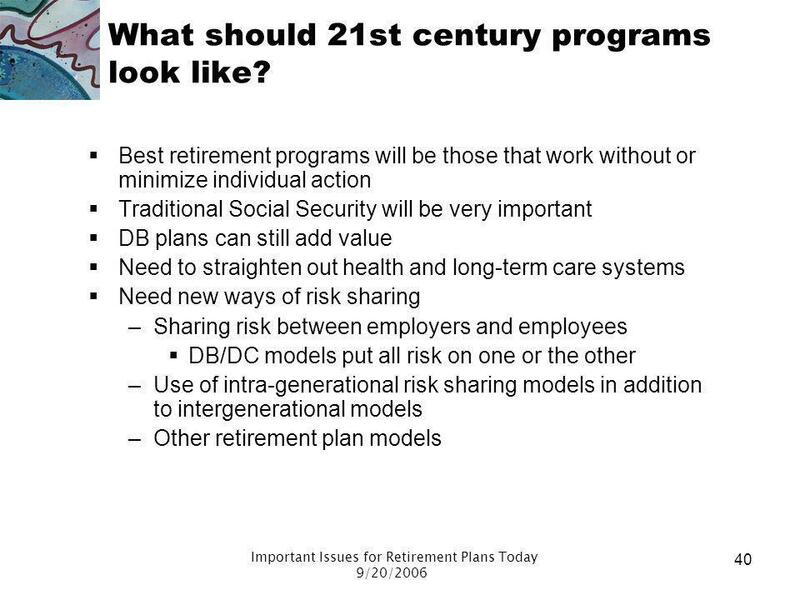 40 What should 21st century programs look like? 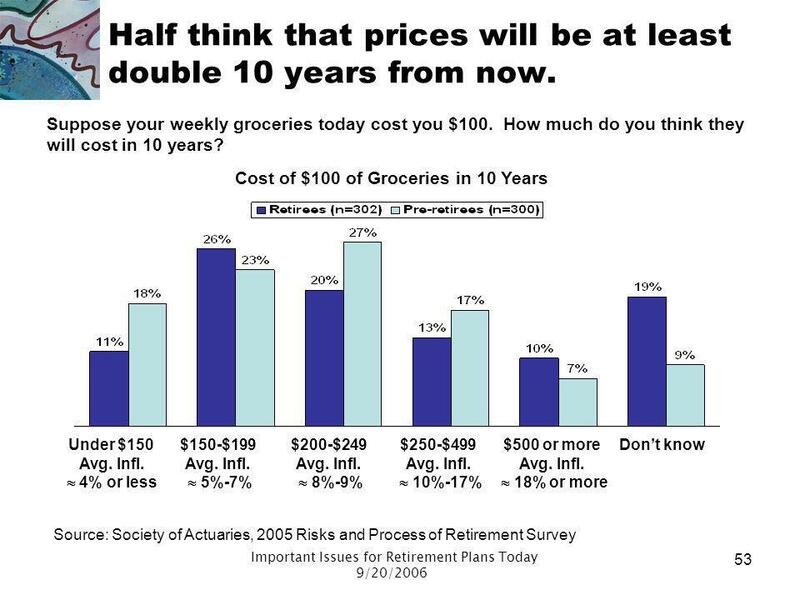 53 Half think that prices will be at least double 10 years from now. 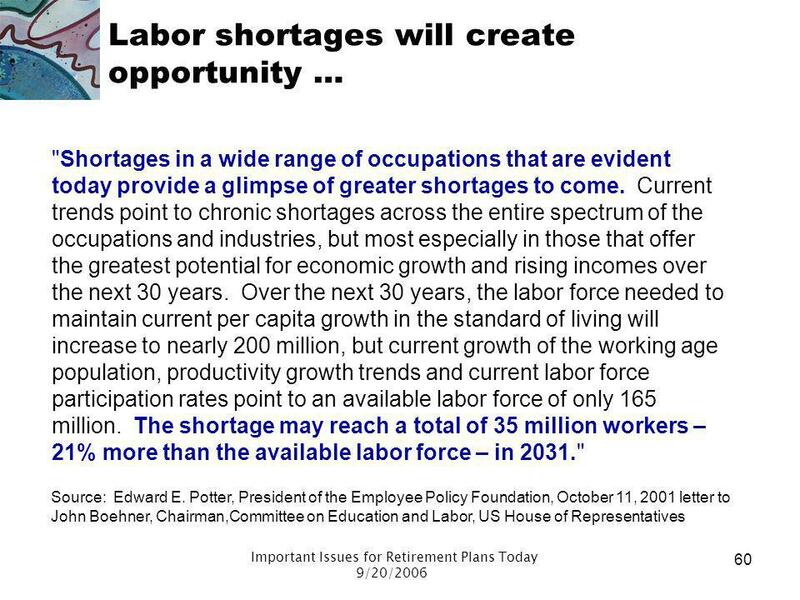 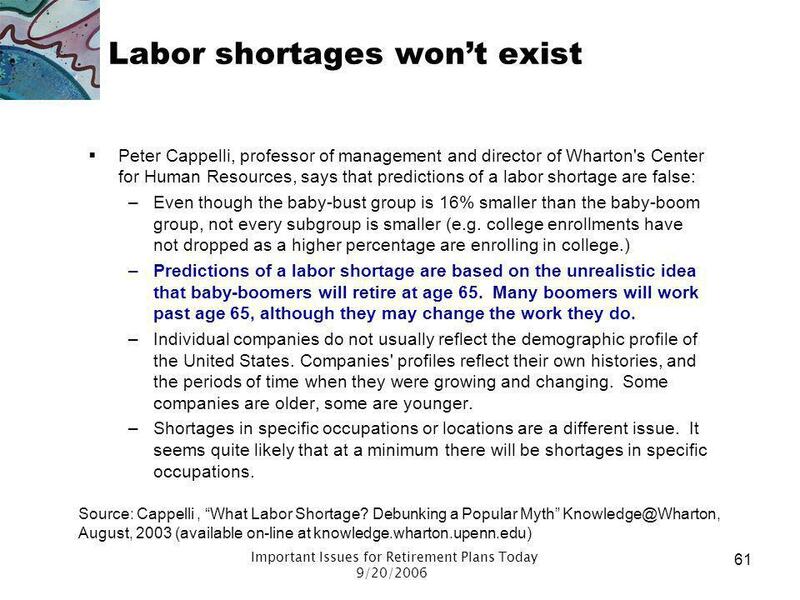 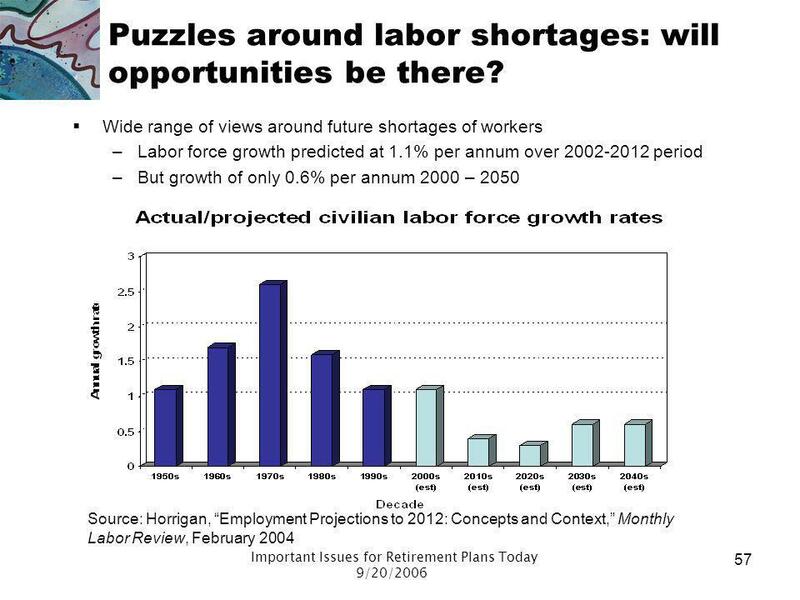 57 Puzzles around labor shortages: will opportunities be there? 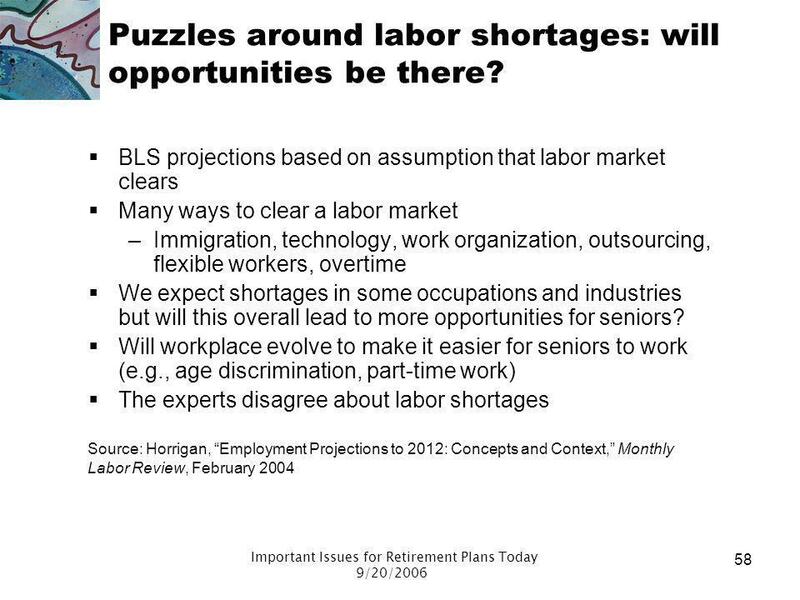 58 Puzzles around labor shortages: will opportunities be there? 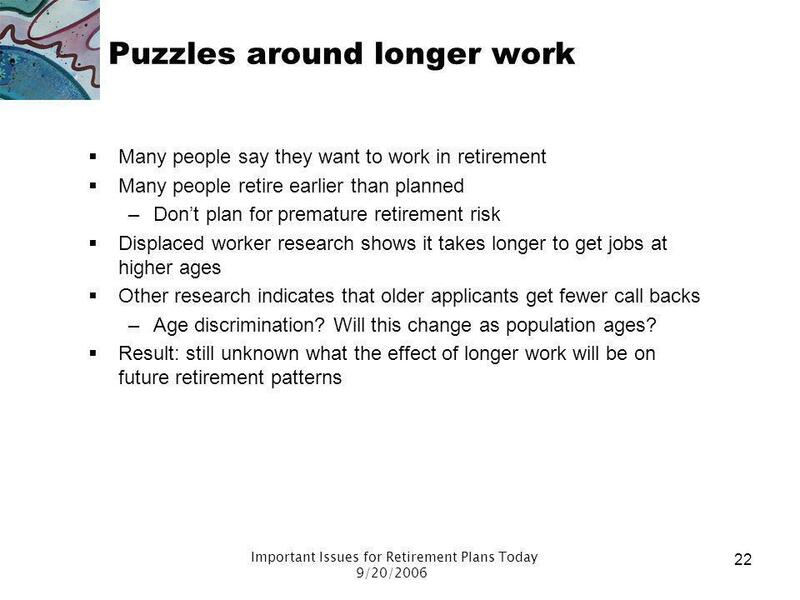 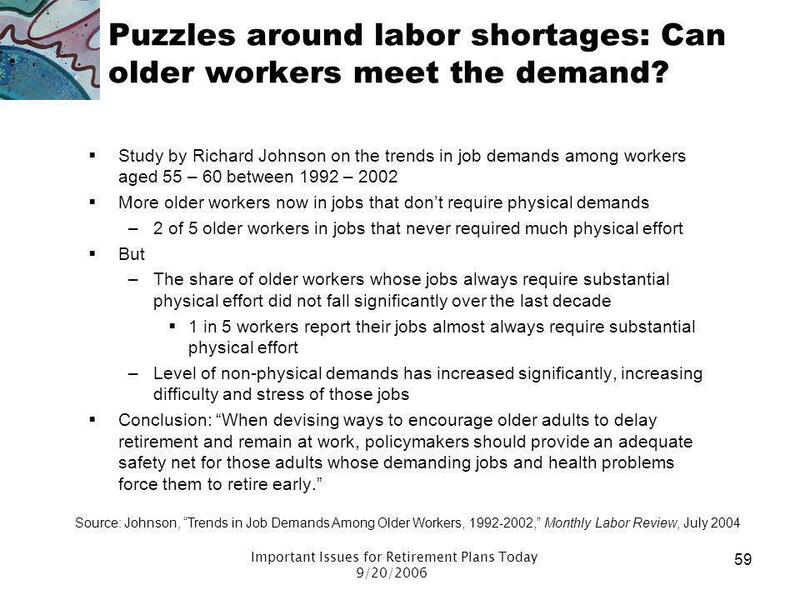 59 Puzzles around labor shortages: Can older workers meet the demand? 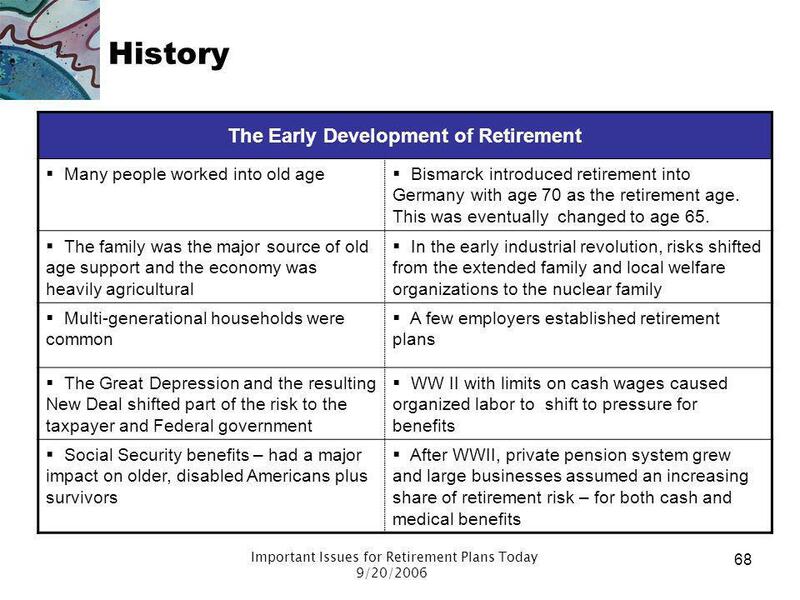 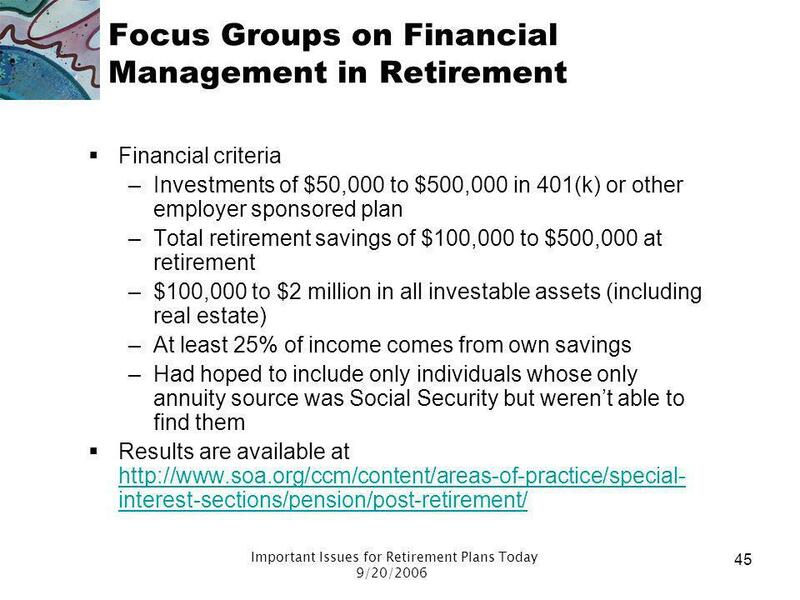 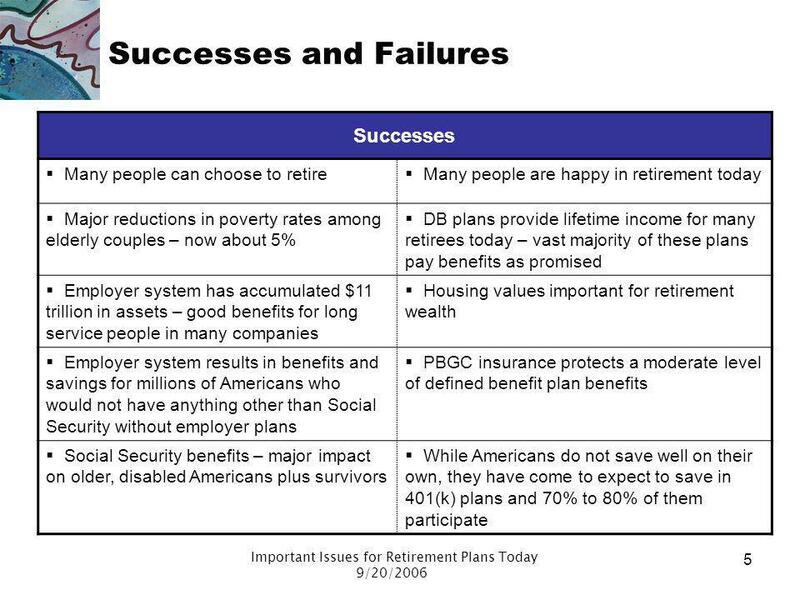 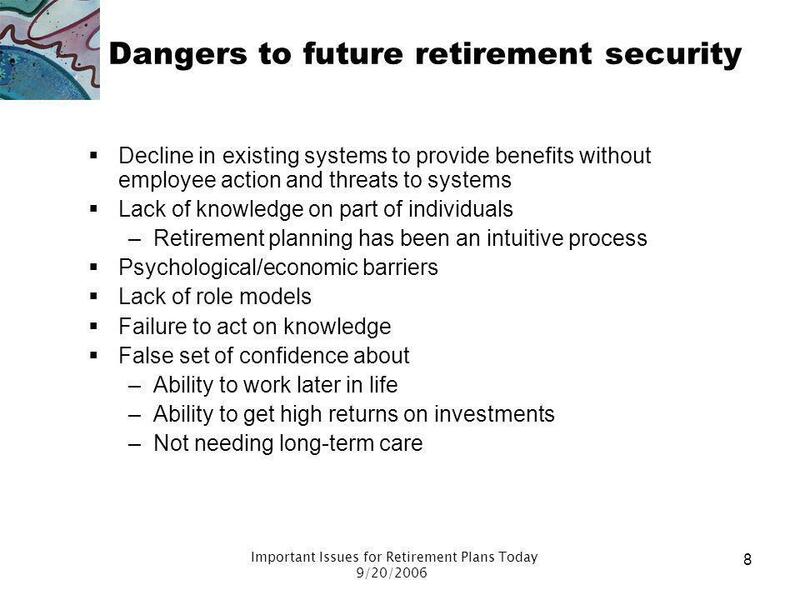 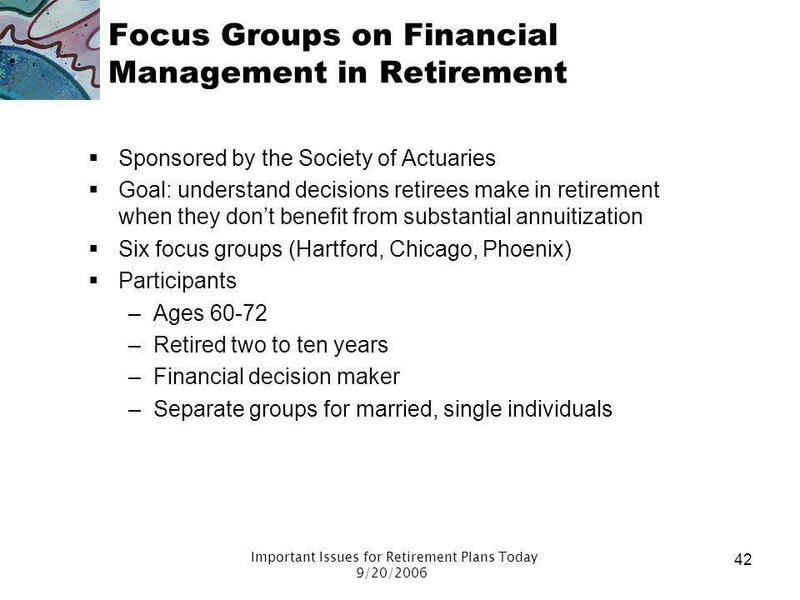 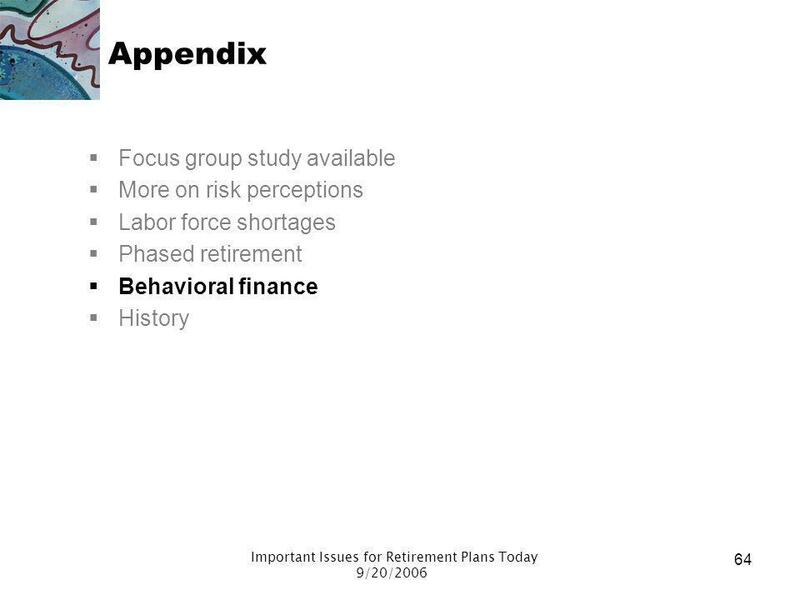 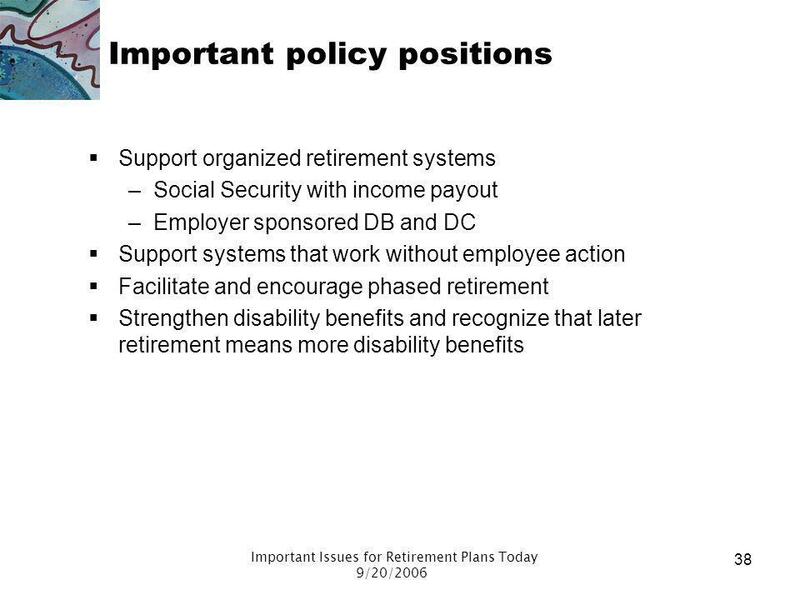 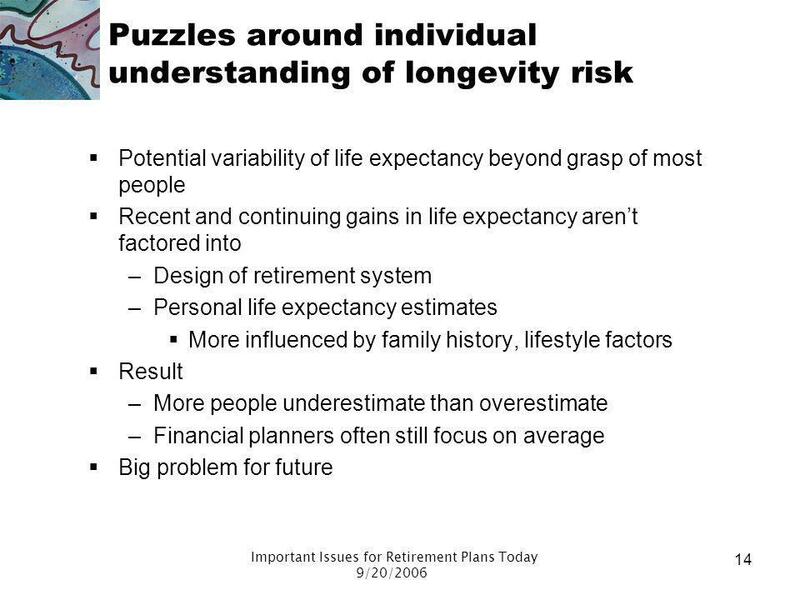 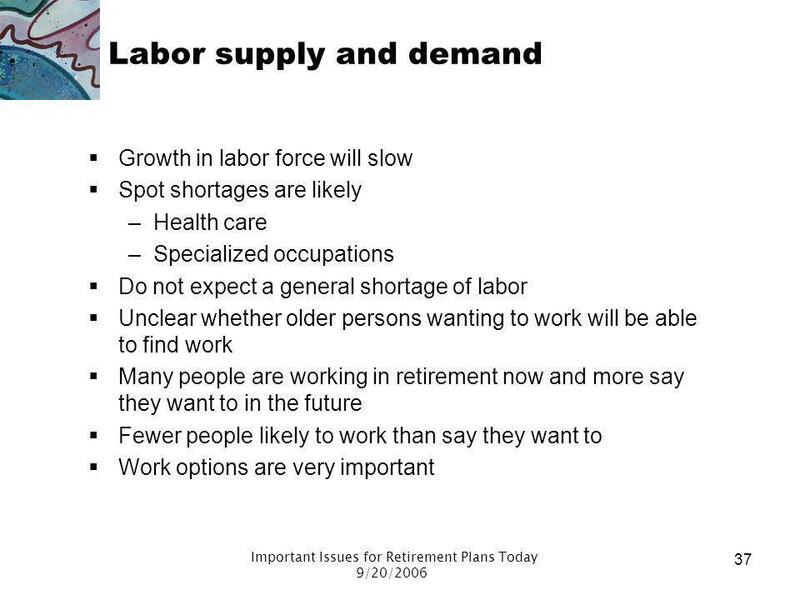 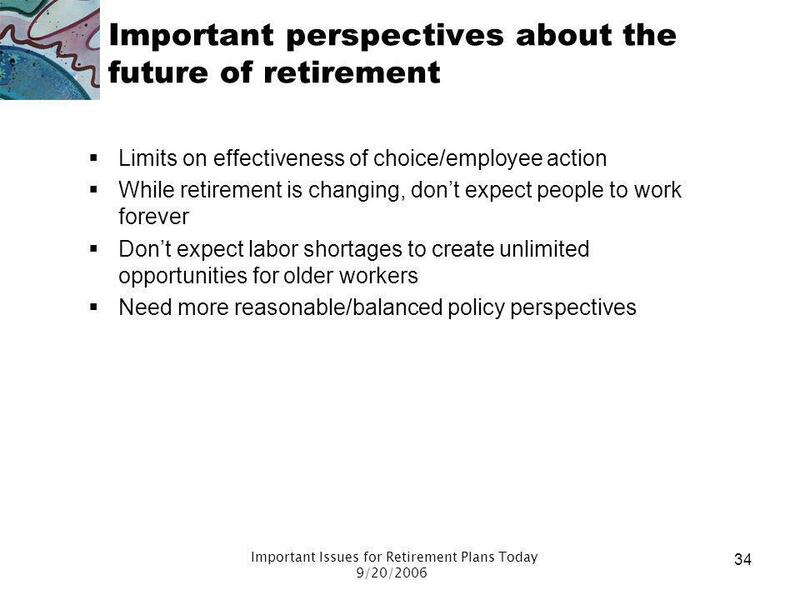 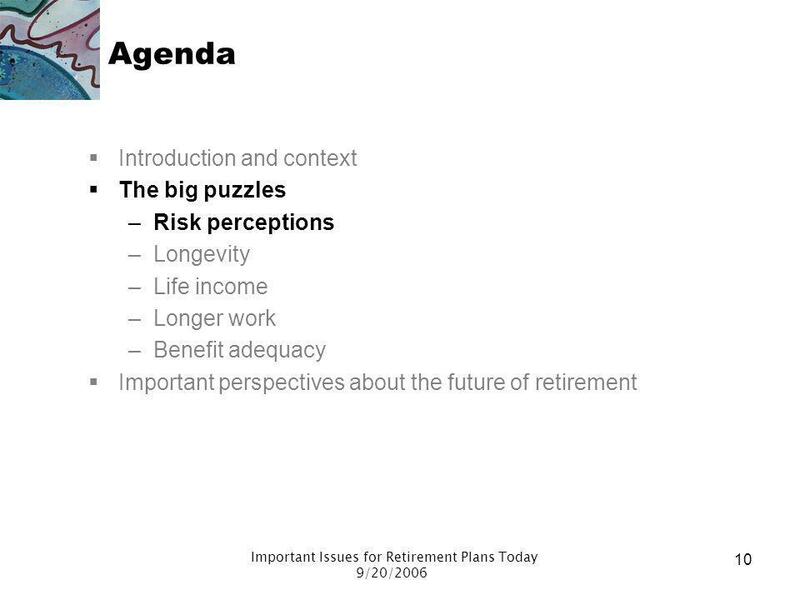 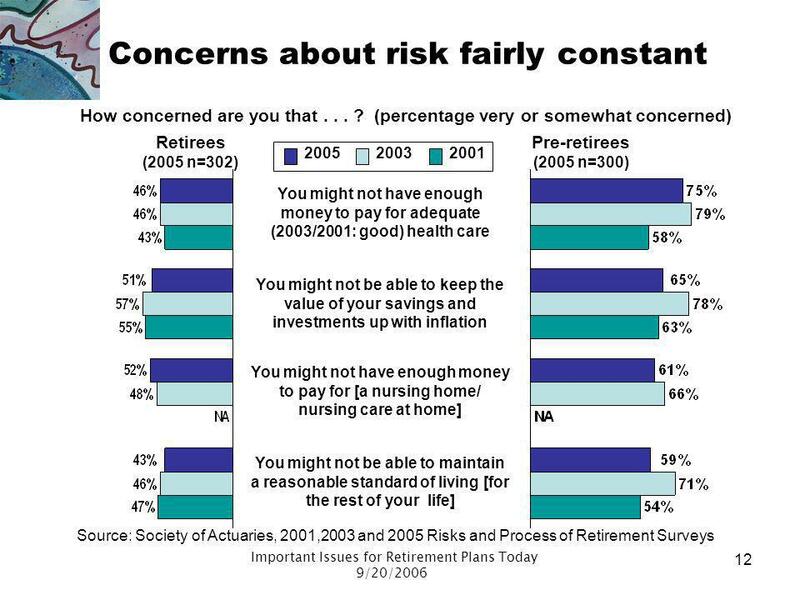 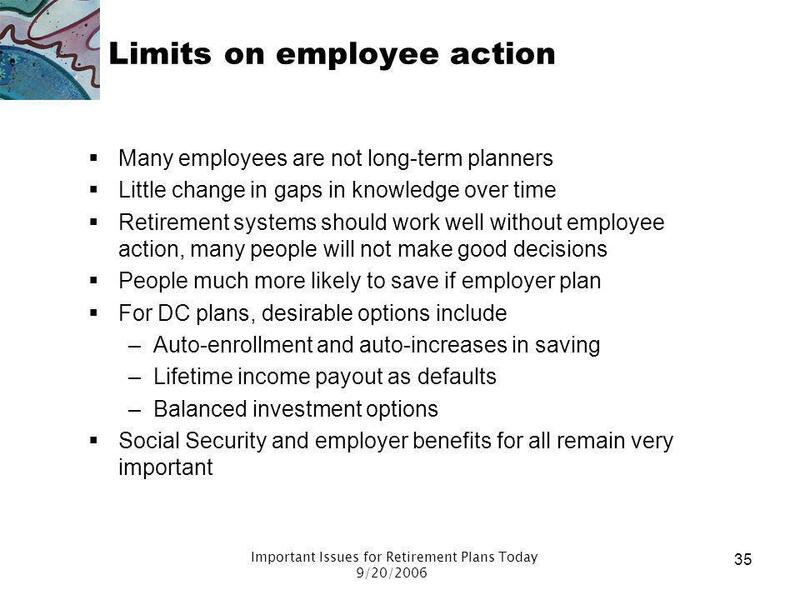 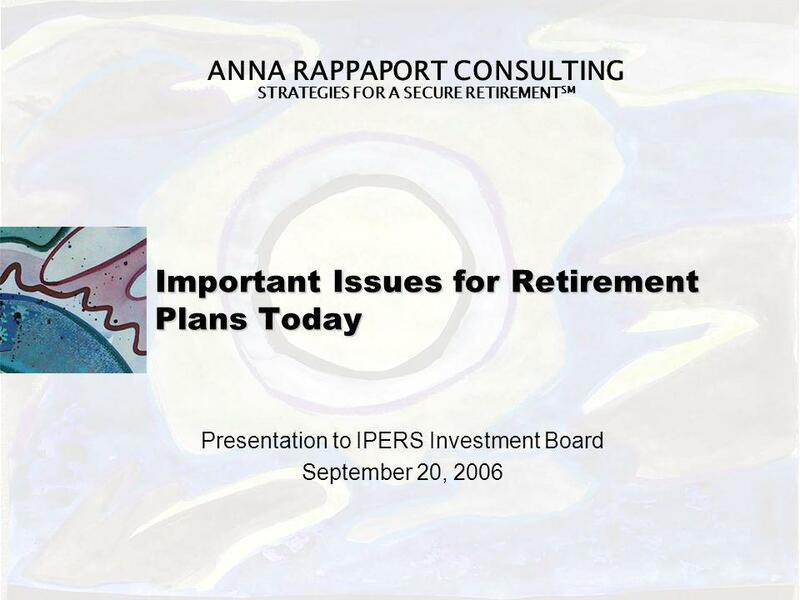 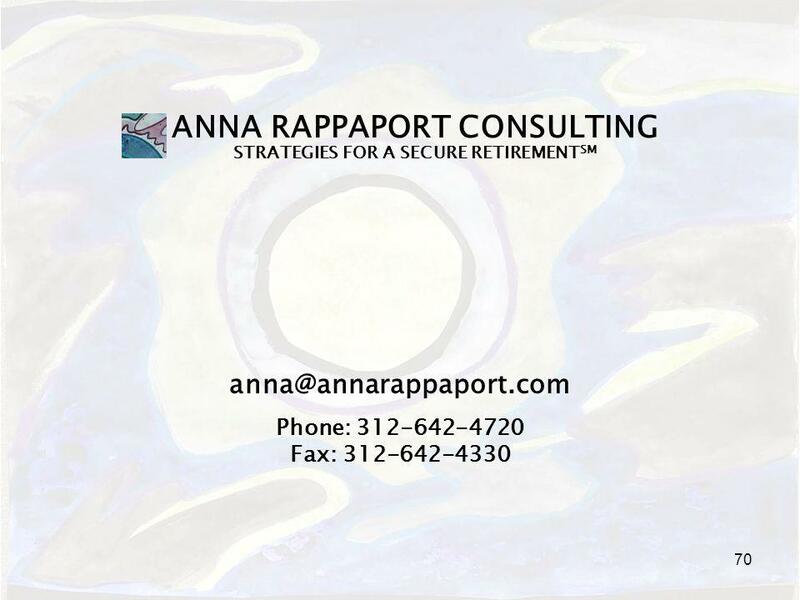 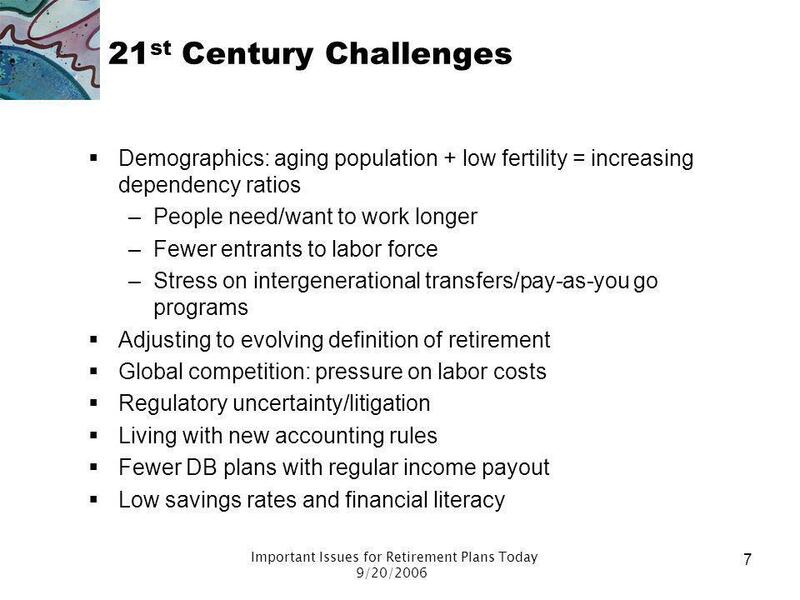 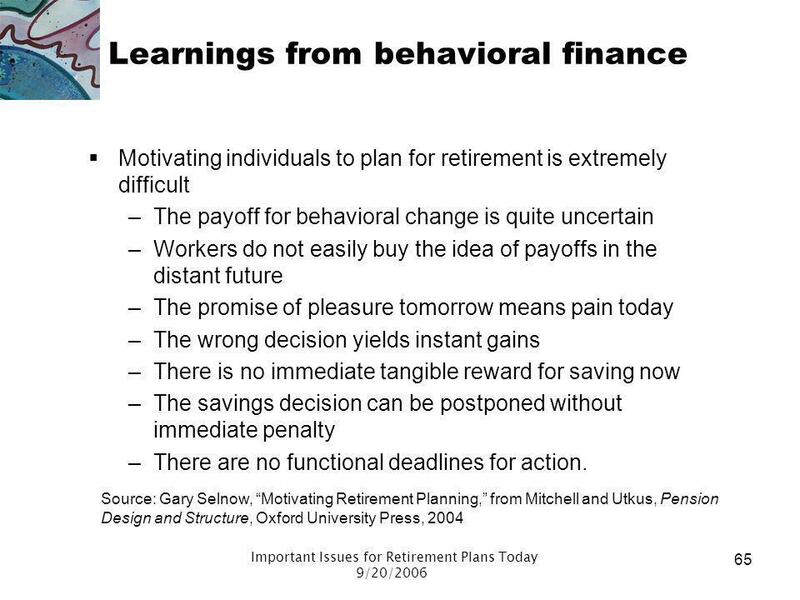 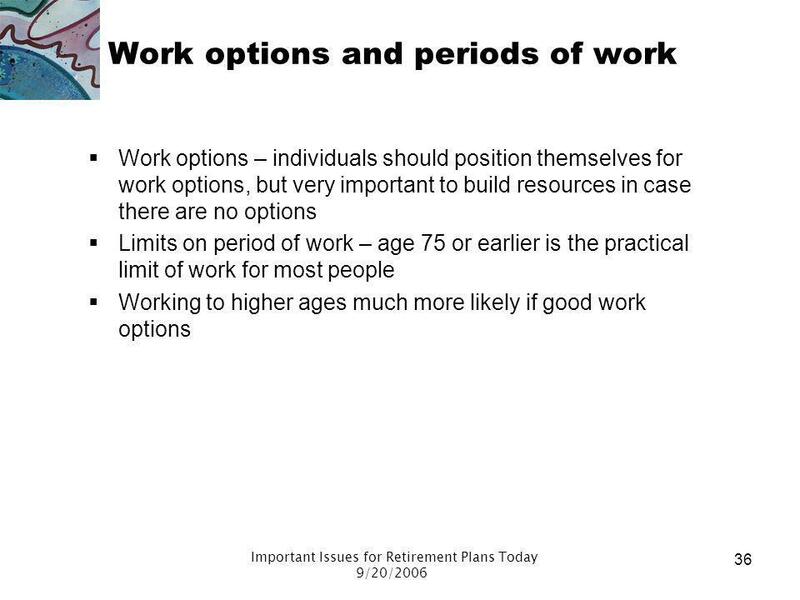 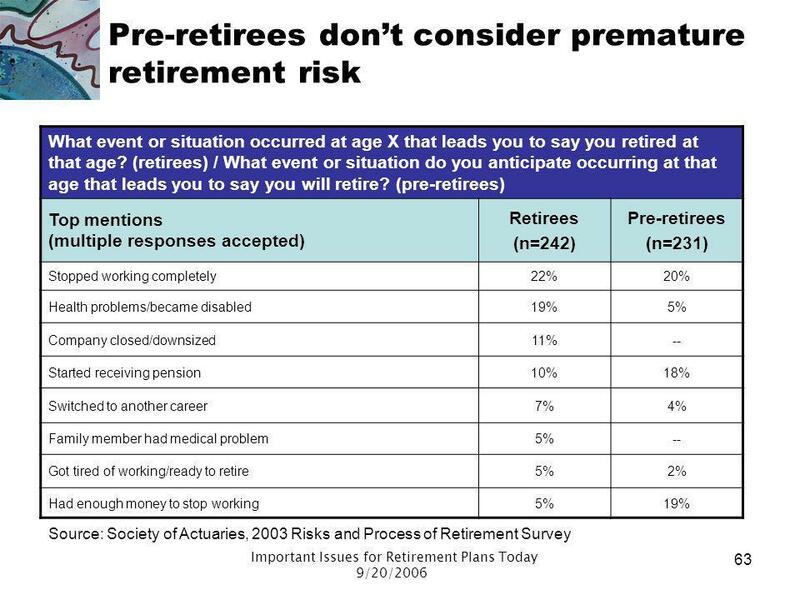 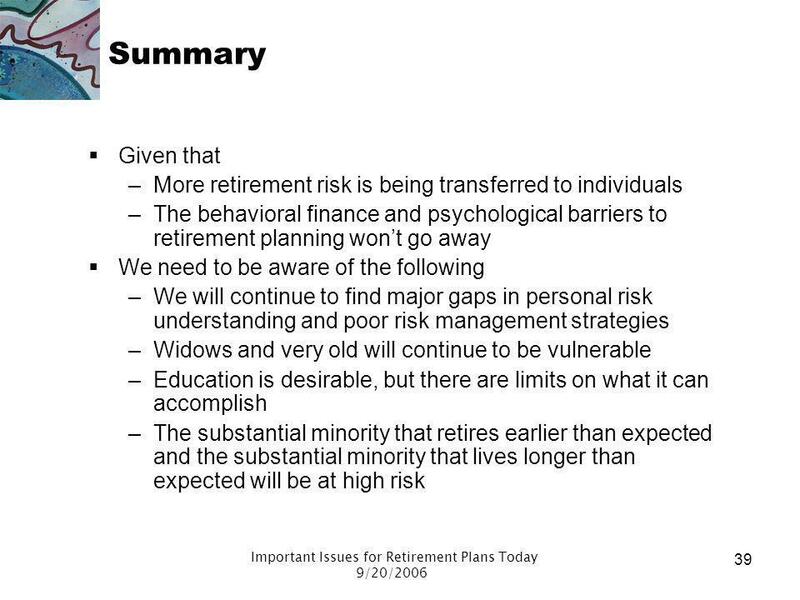 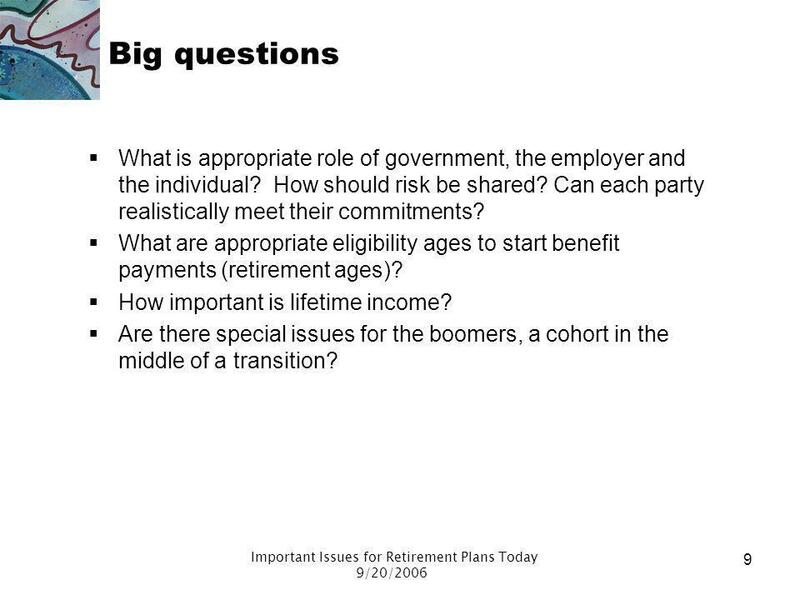 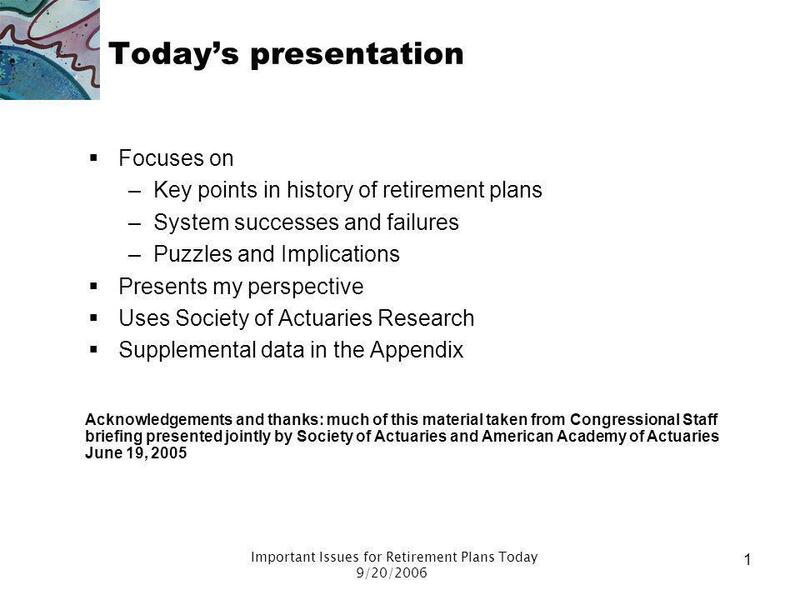 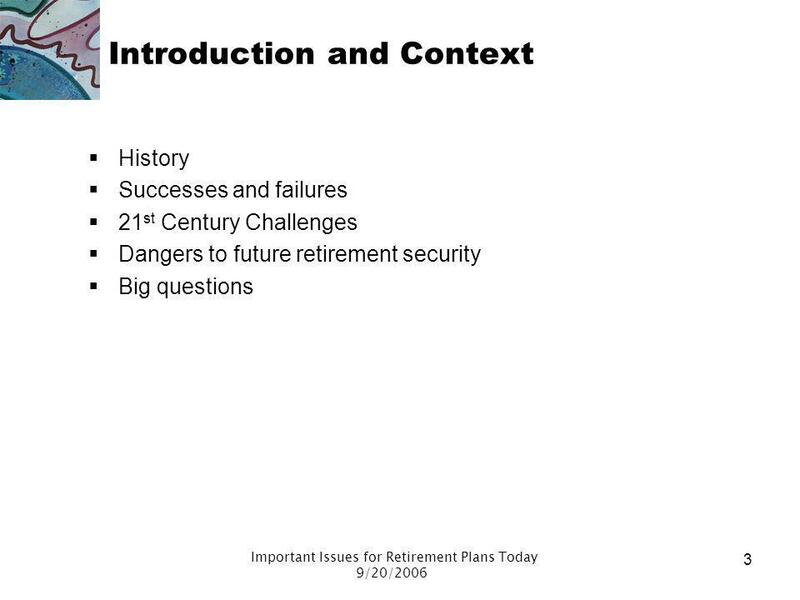 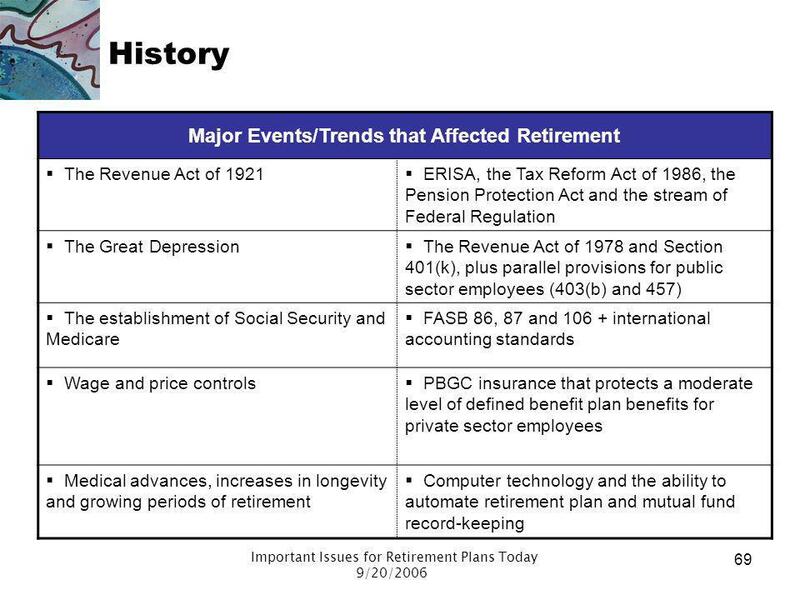 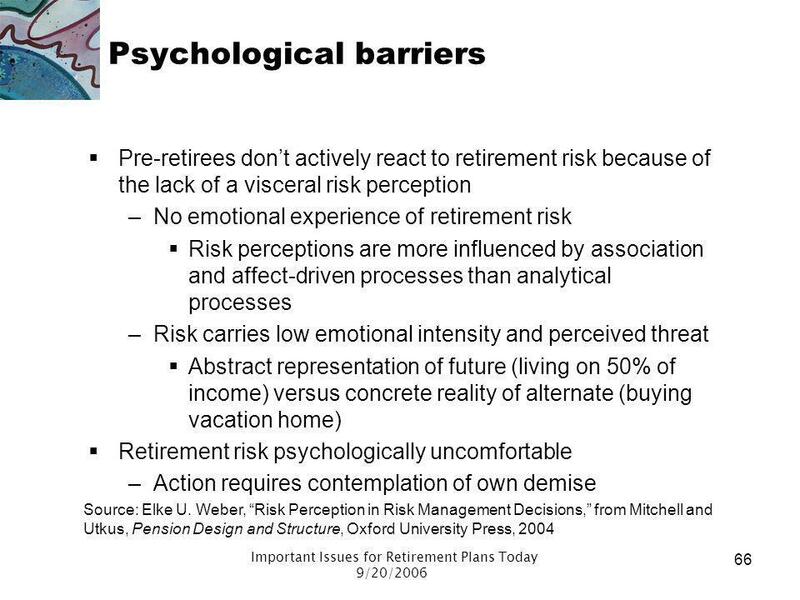 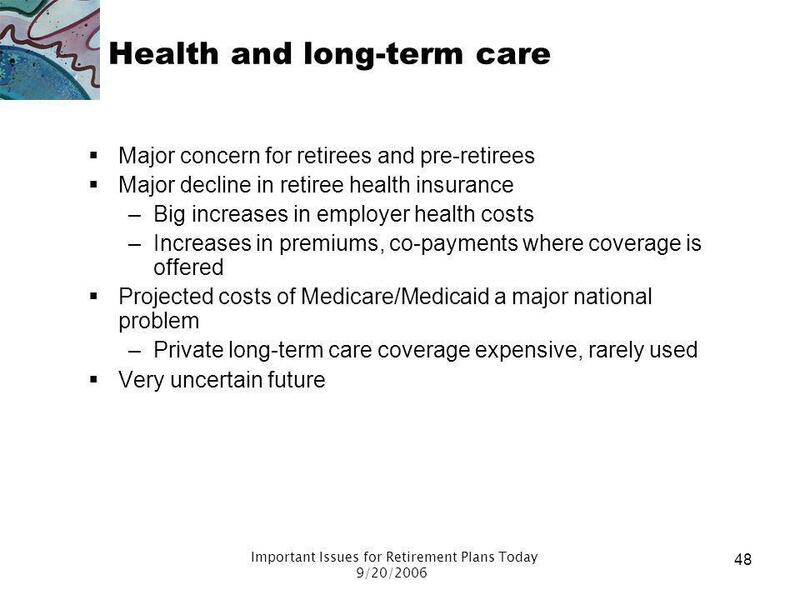 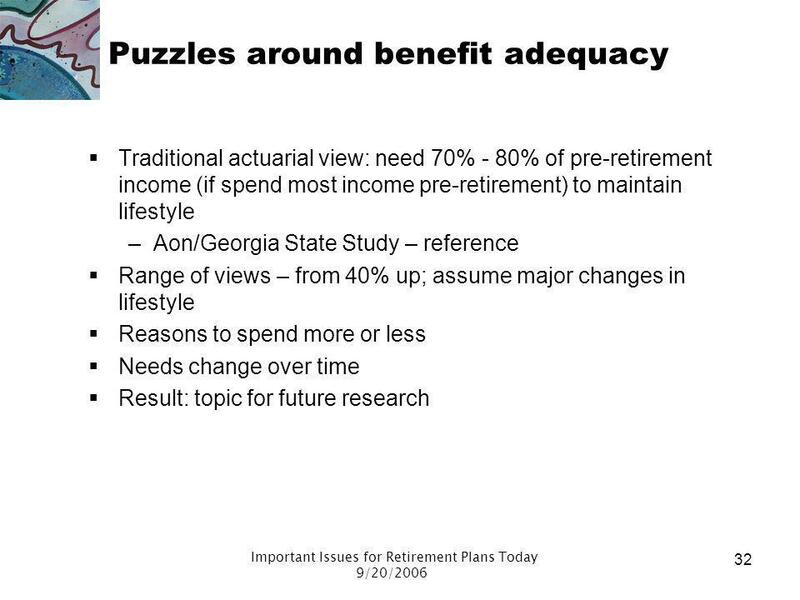 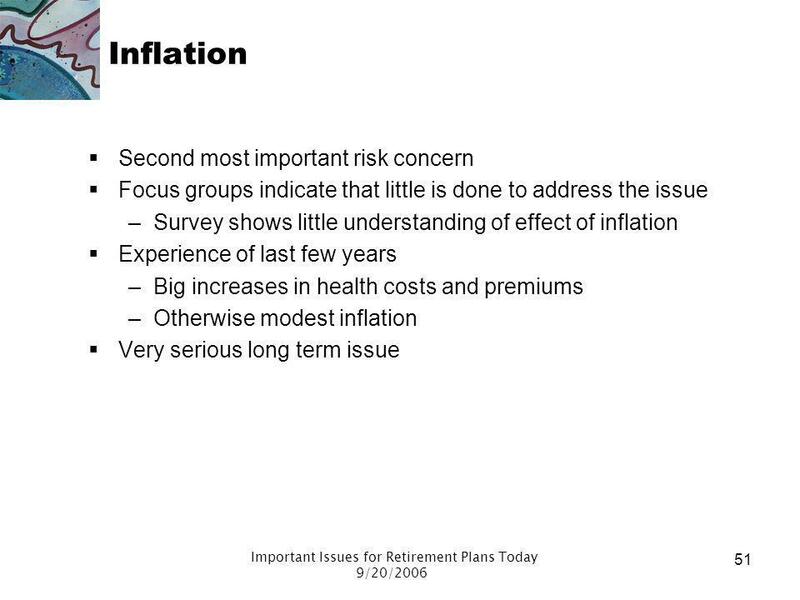 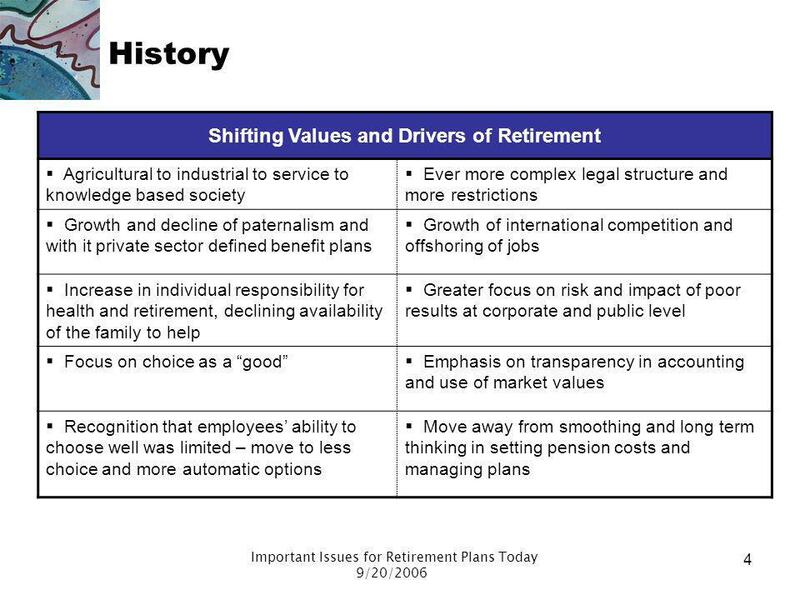 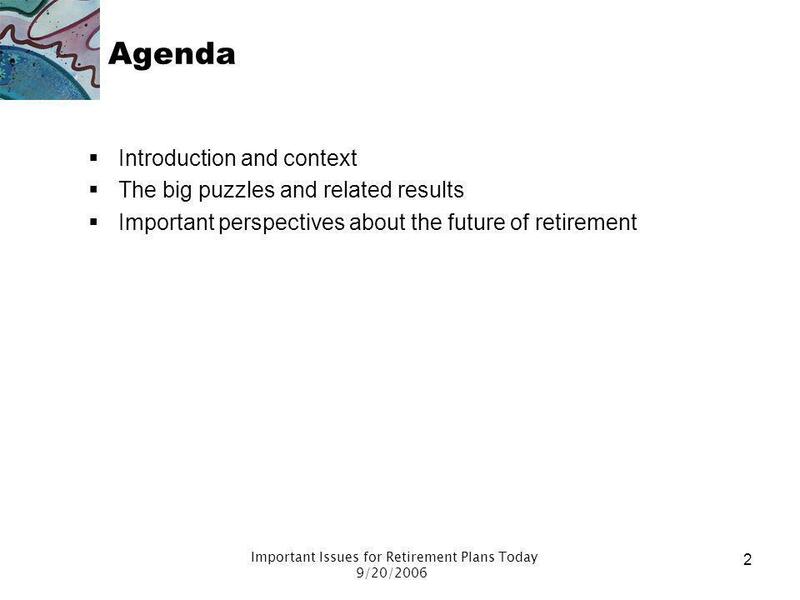 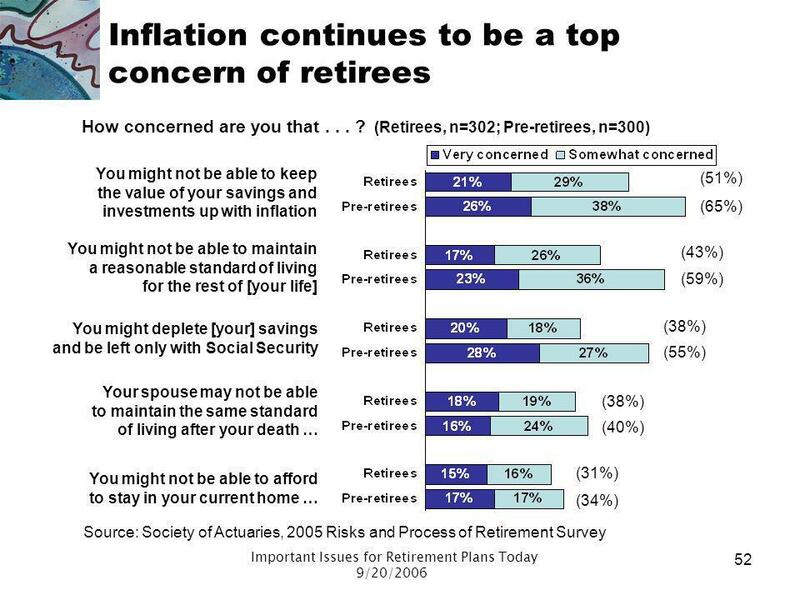 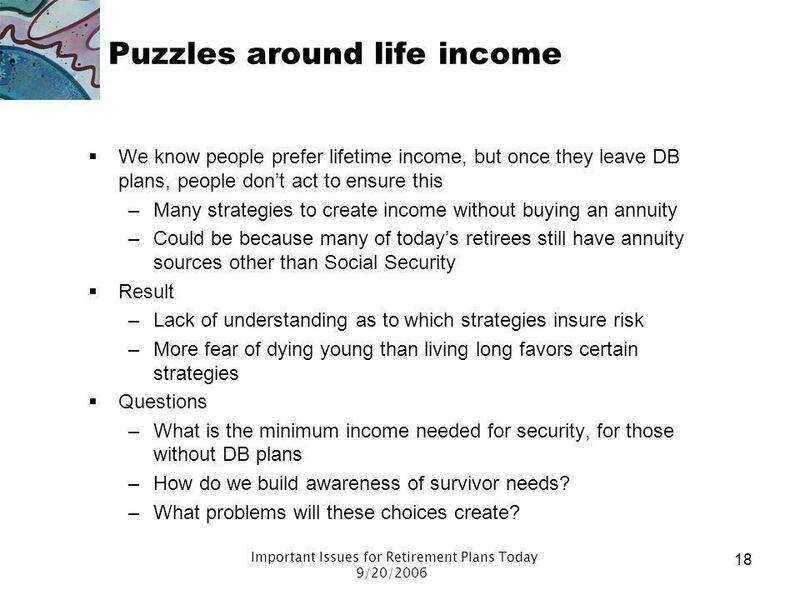 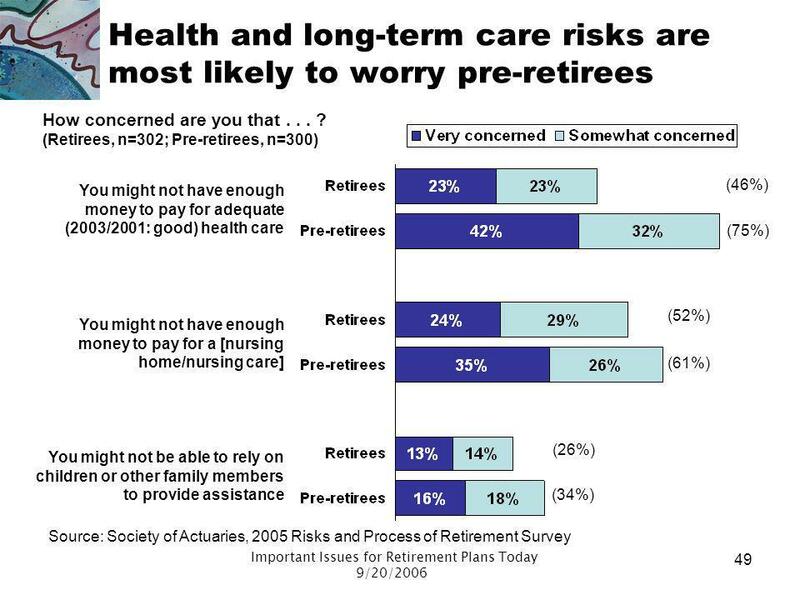 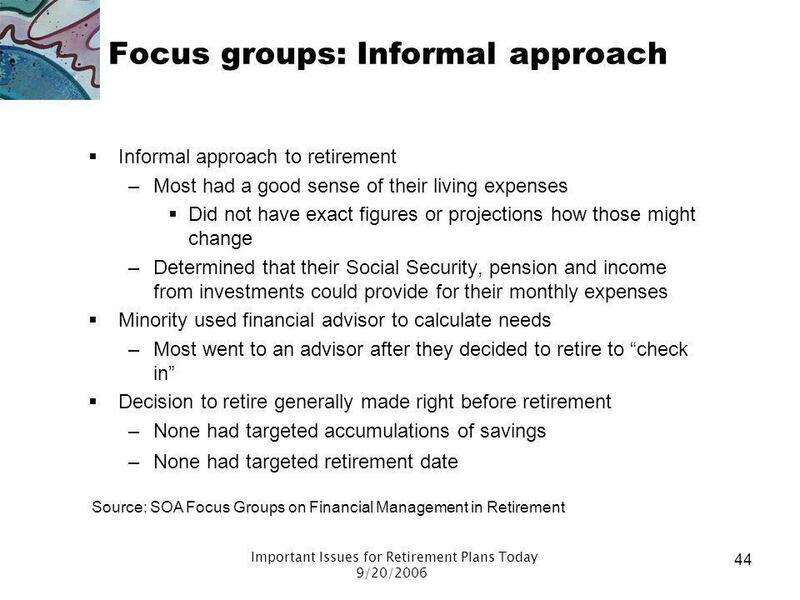 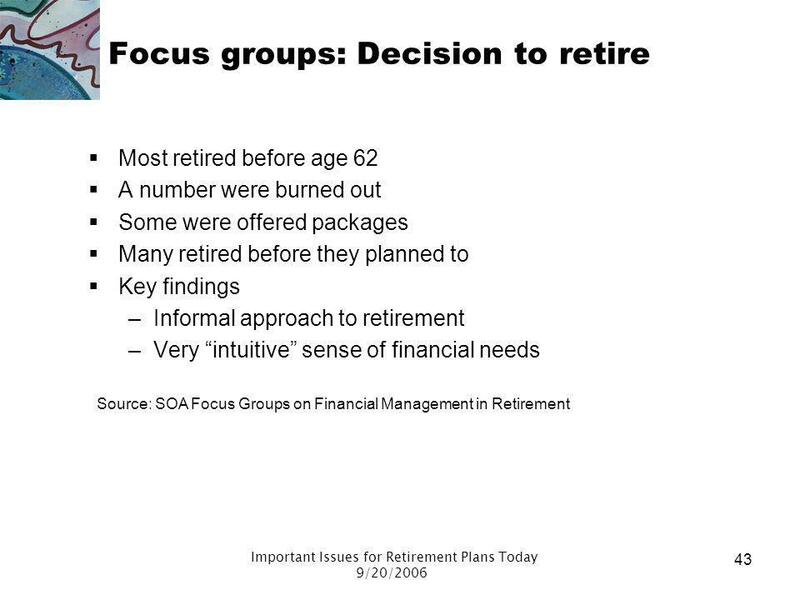 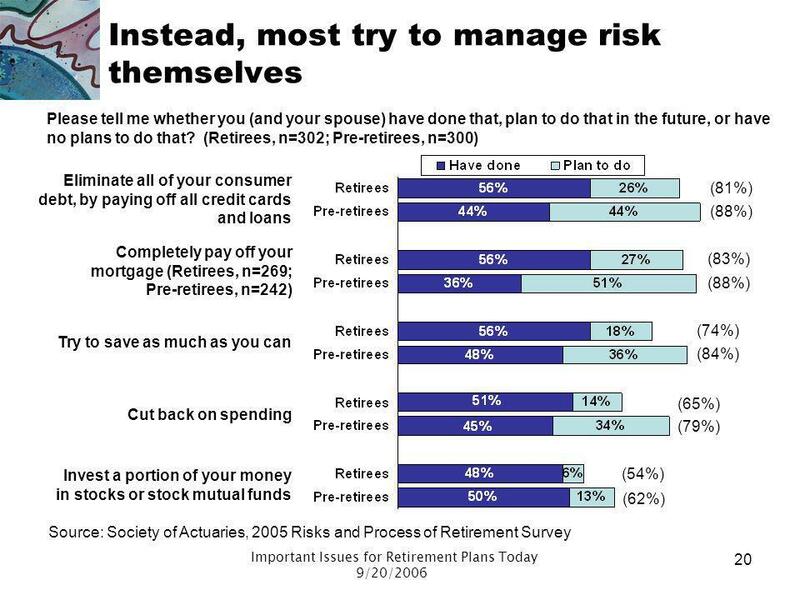 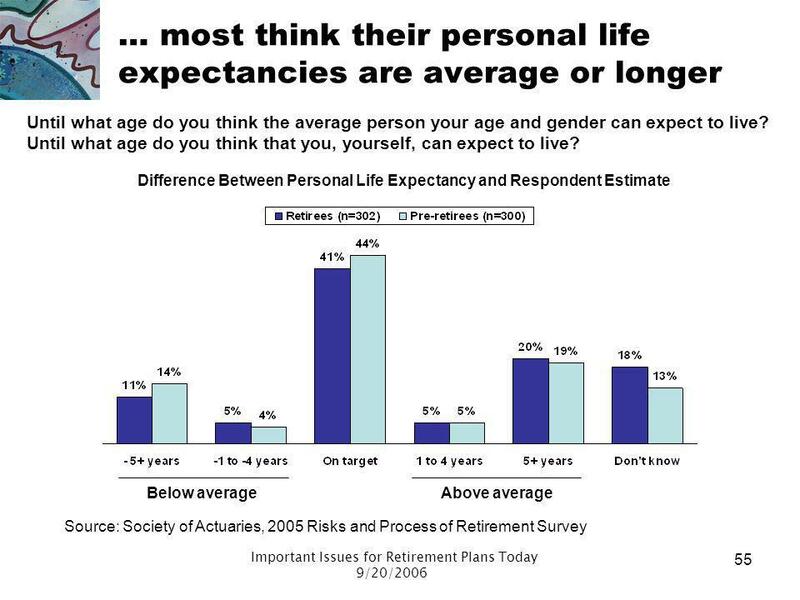 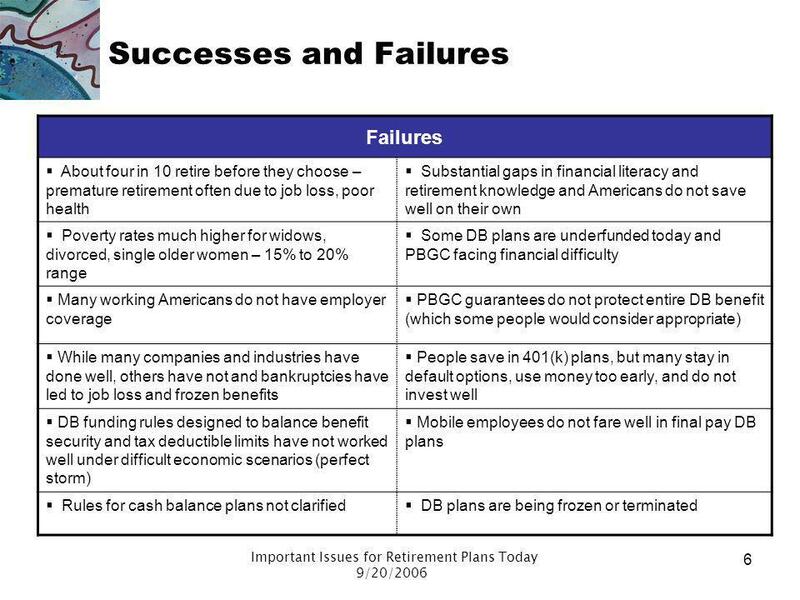 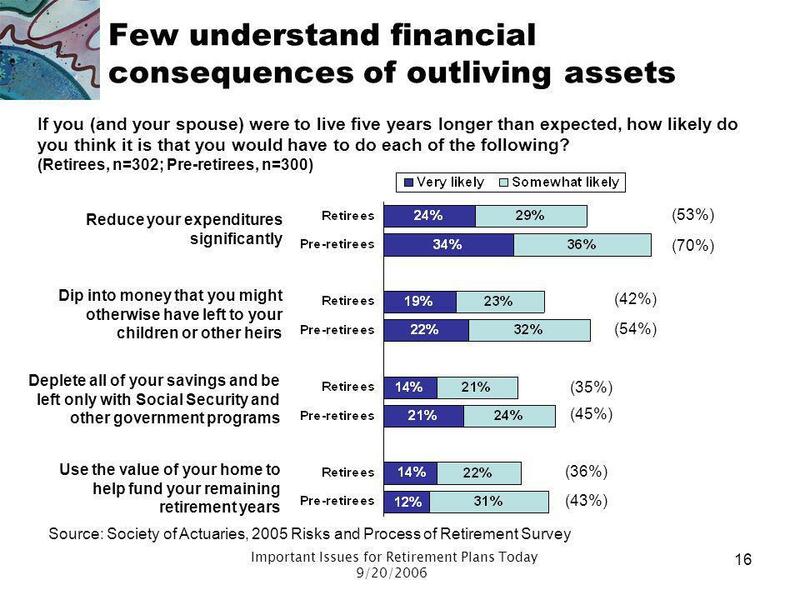 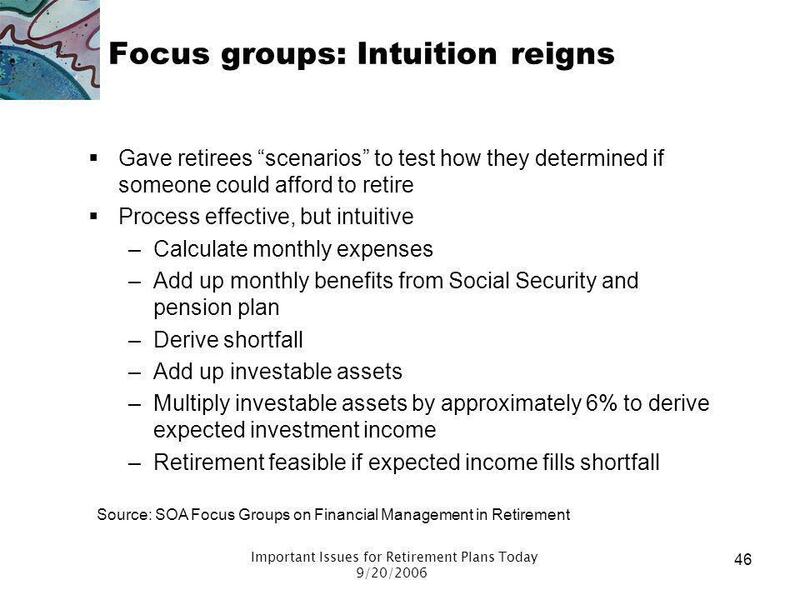 Download ppt "Important Issues for Retirement Plans Today"
Danger Signals Ahead: Challenges Raised by Public Knowledge of Retirement Risks Anna Rappaport, FSA, EA, MAAA Anna Rappaport Consulting Chair, SOA Committee. 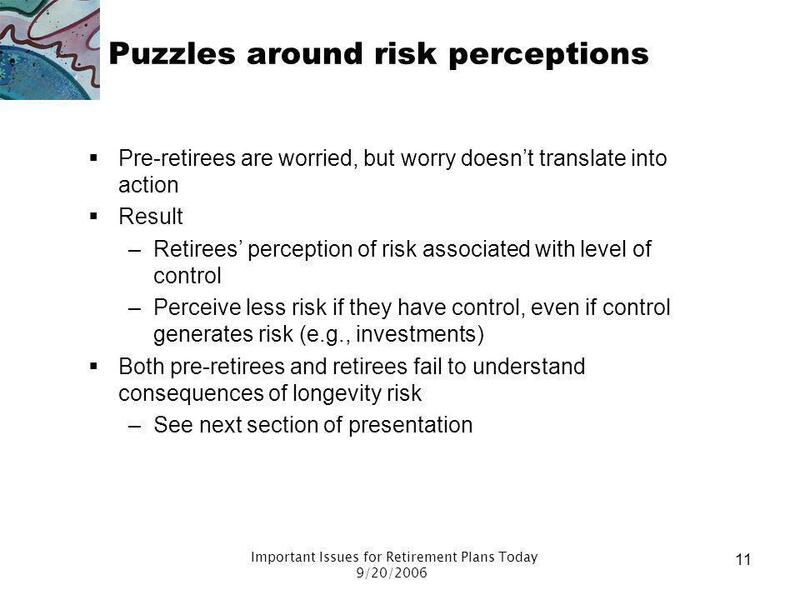 Retirement Security: Public Perceptions and Misperceptions 2005 NASI Annual Conference January 28, 2005 Discussion Leaders:Anna Rappaport Mathew Greenwald.